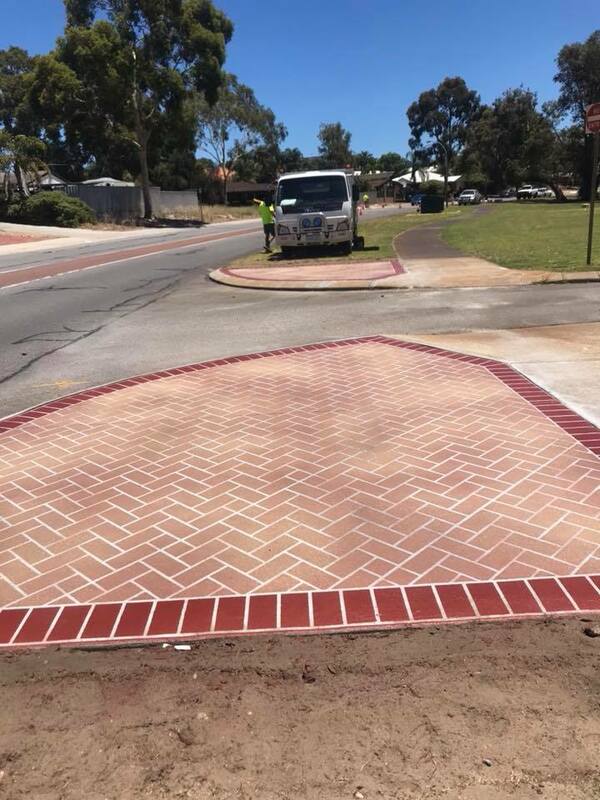 Wespray On Paving was approached by the City of Swan to assist with their City Gateways Project. Over a number of years, the City of Swan has been working towards their goal of creating a “connected and cohesive community”, as well as becoming recognised as a gateway to the Perth metropolitan area. 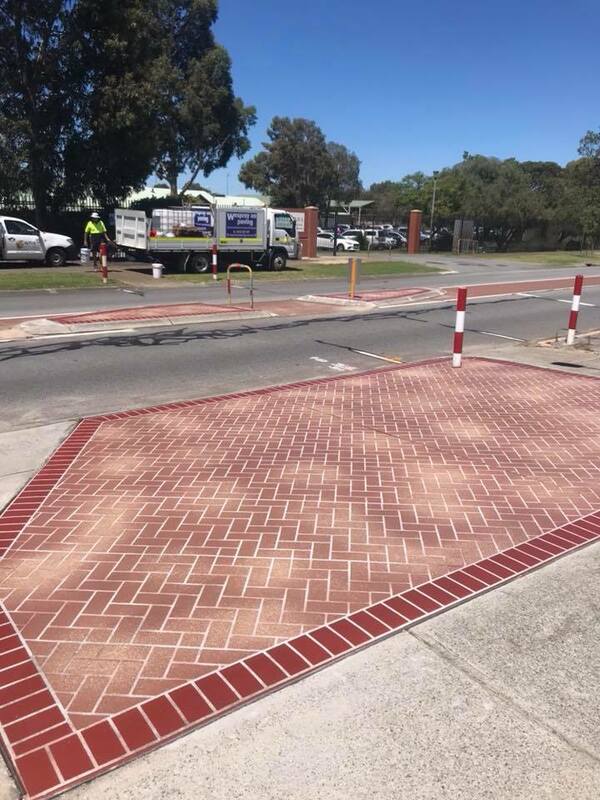 We’re thrilled to have been made a part of this mission when we were asked to remove old, uneven brick paving islands and sections of the verge and replace them with a solid concrete faux pave stencil effect. 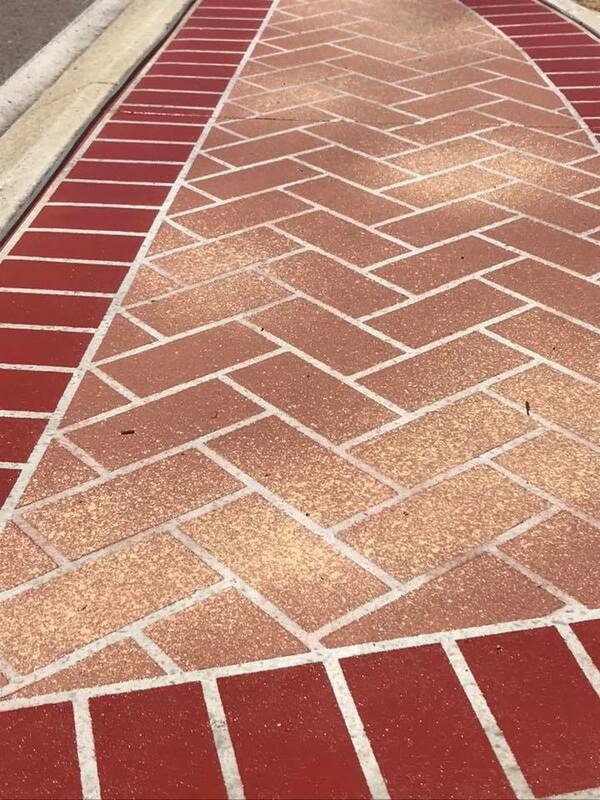 We applied our spray on paving as required, and applied a non-slip texture finish, sealing the finished pavement with a UV stable sealer. To achieve the aesthetically pleasing finish that’s pictured here, we also used a Sentosa red header with a two-tone Almondbury herringbone infill. 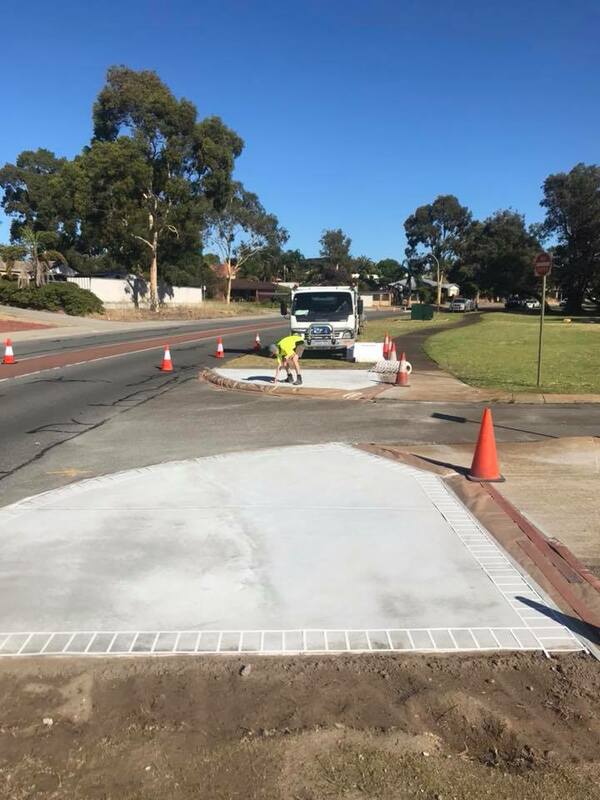 Our hard work was well received by the City of Swan, as the finished project met the original project specifications and is both visually pleasing and functional. 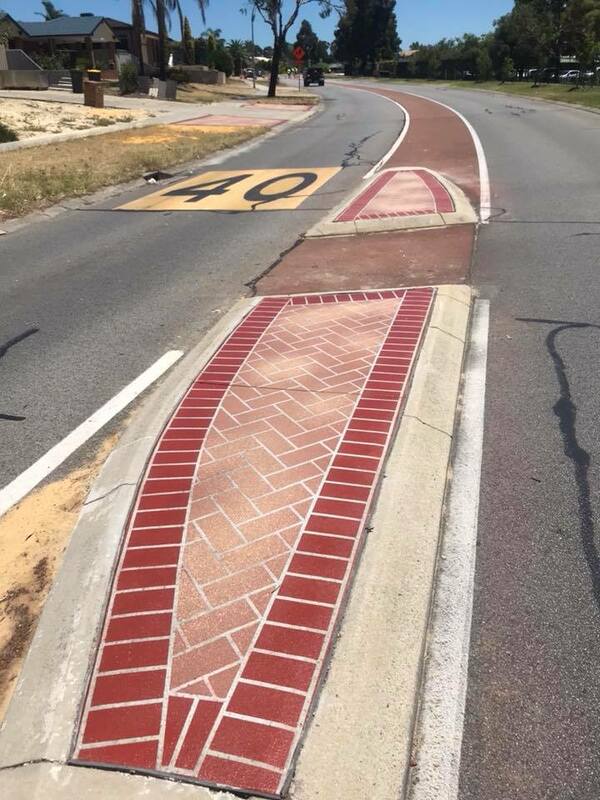 One of the reasons councils are opting to implement decorative concrete resurfacing finishes around their municipalities instead of undergoing traditional brick paving works is to minimise short and long-term maintenance. For a professional commercial resurfacing finish, contact Wespray On Paving today!